Instant Pot vs Air Fryer: Which is the Best? Which one is the best – the instant pot or air fryer? You will see a few fundamental differences in this Air Fryer vs Instant Pot post. If you are thinking of purchasing one or the other, you need to break down these differences. We might help you with which one might fit your cooking style the best. Both of these appliances have claims to cook just about anything that you desire. But, they are not similar and prepare food in entirely different ways. Even if they lessen down the cook time of many food dishes, they are indeed different. On one hand, an Instant Pot makes use of broth or water to produce steam and build up pressure within the cooking pot. This hot steam runs over food and cooks it at a very high pace. On the other hand, an Air Fryer makes use of small amounts of oil and superheats the air. This hot air circulates around the food quickly and continuously until it is cooked. Here are some more points to ponder upon this instant pot vs air fryer article. While the list above might appear to be short, the variety within these categories is very extensive, keeping in mind that the meals you are thinking about probably fit in one of these categories. Also, the food that you can prepare in an Instant Pot is not limited to this group either. 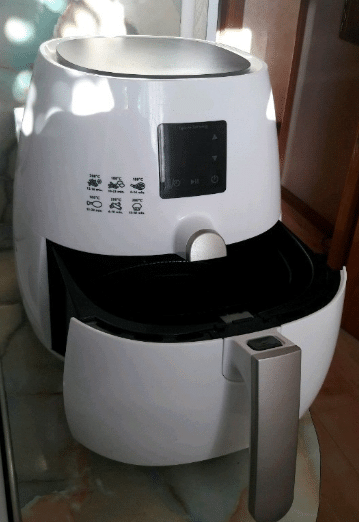 The steam function here can be used to prepare pasta, vegetables, and eggs. The newer versions are fitted with even more features. These appliances also come with a cake setting to prepare desserts, sous vide function and a dedicated egg function. Along with the regular pressure cooking methods, Instant Pots can also be used as emergency sauté pans as well. The sauté function allows you to stir dry food with less oil and meat as well. The heat source of an Instant Pot is electronic, just like a pressure cooker. Therefore, because you will not be needing gas or an electric stove, Instant Pots are much more energy efficient. Also, it is much safer because it is self-regulating. The advantage that makes Instant Pots better than other cookware is that fact that it is programmable. You can program the appliance for up to 24 hours among the many pre-programmed options to choose from. Cooking in an Instant Pot will save you a lot of time. What took six to seven hours can be cooked well within an hour or two. You can easily set up a roasted dinner for your friends and family, all in less than an hour. This feature is useful especially when you do not have much time or too busy to cook a proper meal. The interior of an Instant Pot is made up for stainless steel. Hence, you can rest assured that the food is being touched only by the stainless steel part of the pot. Also, the appliance does not contain non-stick surfaces like Teflon. At the end of the day, an Instant Cooker is basically a pressure cooker. While it might be safer than an average pressure cooker, it will still release steam that can hurt your skin. If not kept properly, it might fall over your child or pet and cause serious injuries. While an Instant Pot might be easier to understand and use than a conventional pressure cooker, it is still a new device that will require you to delve into some learning. Of course, you will get better with time, but you will not feel easy for the first few times. The pricing range of an Instant Pot might seem reasonable, seeing the fact that it can potentially replace all the pots and pans in your kitchen. But you should know that purchasing an Instant Pot is an expensive affair. Plus, if you already have all the replaceable pots and pans, the Instant Pot’s cost will only grow. Frying is the main attraction of the Air Fryer. 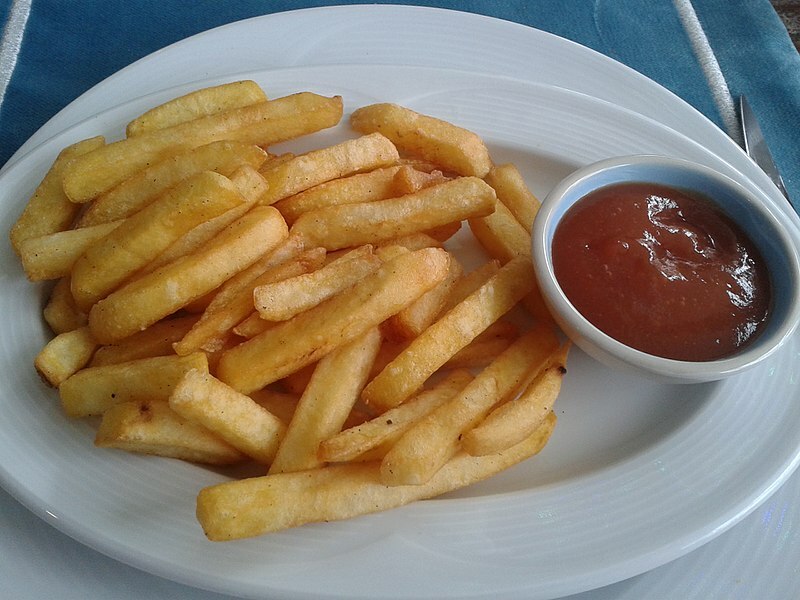 You can easily prepare a lot of different food items like French fries, chicken, chips, and any other food items that you can deep fry. In the case of most Air Fryers, all you need to do is just dump your food into the basket. The real magic is in the accessories that can potentially expand your cooking options. You can make scrambled and fried food with ease using this appliance. In fact, you can cook and fry your food in a much healthier manner than traditional fryers. 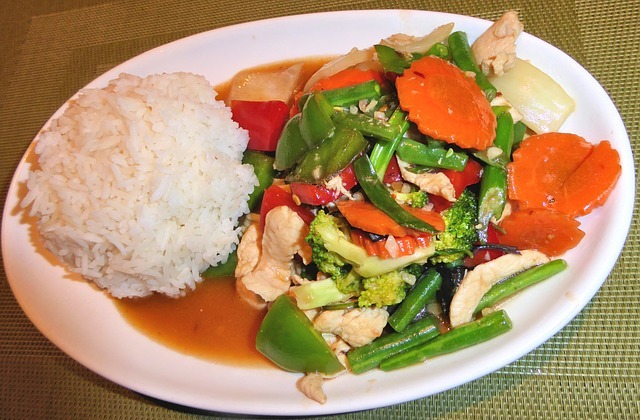 Most companies incorporate an extensive cookbook to practice and cook a dish. Unlike traditional fryers, the food you consume after frying in an air fryer has a lower amount of cholesterol and fats. 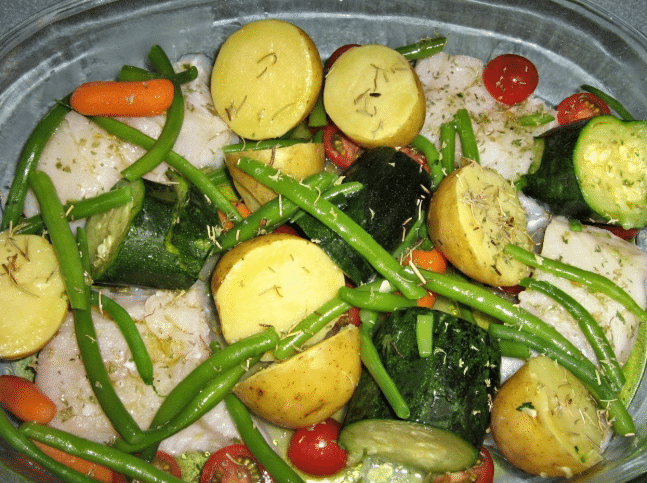 The food is cooked with up to 80% less oil and that translates into a lower fat amount. As a by-product of the above, you end up saving more on oil. All you need to do is add a spoonful of oil to effectively fry your food, just like a traditional fryer. 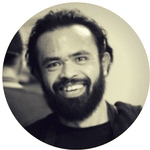 Although the saving might seem small now, it will grow over a period of time. While you might save money on oil, you might end up spending more on electricity. Yes, Air Fryers make use of more power than other types of conventional fryers. This might end up hurting your power bill in small amounts. While the food that you fry might seem healthier, Air Fryers cannot simply beat the crunch aspect of traditional fryers. 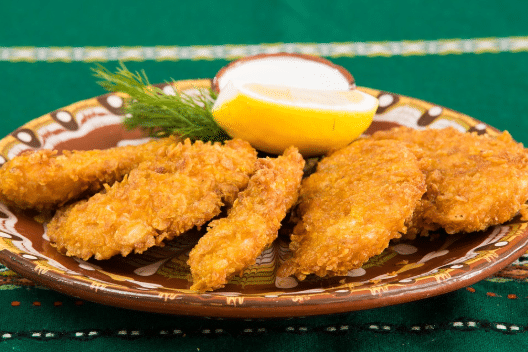 Crunch and taste is something that has to be taken into account when it comes to the aspect of fried food. This Instant Pot DUO60 is a very well-performing and versatile kitchen appliance that can definitely satisfy you. It is capable of cooking any food product in a flash, be it risotto, vegetable or meat. It is a great slow cooker and rice cooker as well. Many people have reviewed this product as a great appliance that every household can purchase. 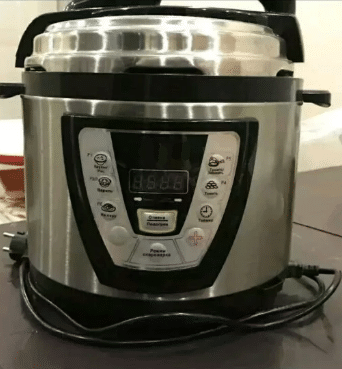 While you might find a bit of a learning curve here and looks very complex, the Instant Pot DUO60 is very easy to figure out. 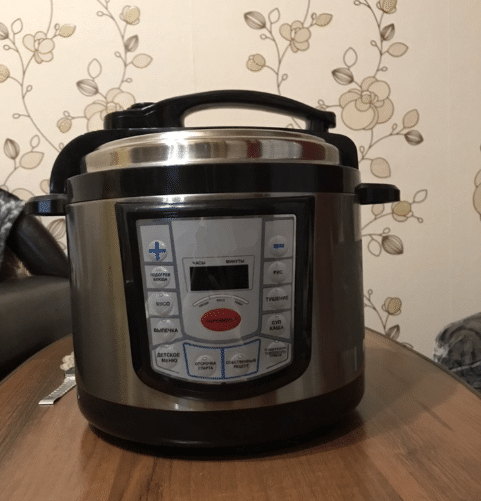 In fact, the Instant Pot DUO60 is so popular with the masses that you will find a lot of online resources for recipes and instructions, including instructional videos. The appliance is very easy to wash and dishwasher safe. The inner pot is made of stainless steel, something that is not present in every electronic pressure cooker in today’s time. This makes the Instant Pot very durable in nature and will last you for a lot of years to come. Overall, this appliance is very affordable and allows you to cook all types of food imaginable. Also, it can also potentially replace most pots and pans in your home, thereby saving you a lot of space. This Instant Pot LUX60V3is everything that you are looking for in a pressure cooker. You will see six different modes here, namely keep warm, steamer, rice cooker, slow cooker, browning/sauté, and pressure cooker. With so many options in front of you, you can easily cook whatever you wish you. Additionally, you also get a recipe booklet on the purchase. The large and intimidating control pad is actually very simple to understand and use. In fact, it is labeled in such a way that you can launch anyone out of the ten pre-set cooking programs for the Instant Pot LUX60V3. 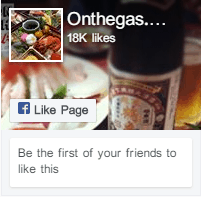 These settings will cook some of the most delicious and tasty food for you. The appliance is also very energy efficient and saves up to 70% of the energy. You will find ten proven security features in the Instant Pot LUX60V3, right from safety lid lock, automatic pressure control and a high-temperature warning to anti-blockage vent, leaky lid protection, and pressure regulator protection. All these security features will enable you to cook without any worries and in peace. The appliance is also not expensive and is a great device to cook luxurious and healthy food in a much lesser time than before. With Cozyna’s Air Fryer, you get all cooking appliances in one package. You can easily bake, roast, grill or fry food with less than one spoon of oil. This is the most primary feature of Air Fryers around the world – to provide you with a healthy alternative to cook fries, chicken, fish, and burgers without affecting your healthy lifestyle. Additionally, this healthy cooking appliance is sold with two cookbooks that contain more than 50 recipes that you can try out by yourself. 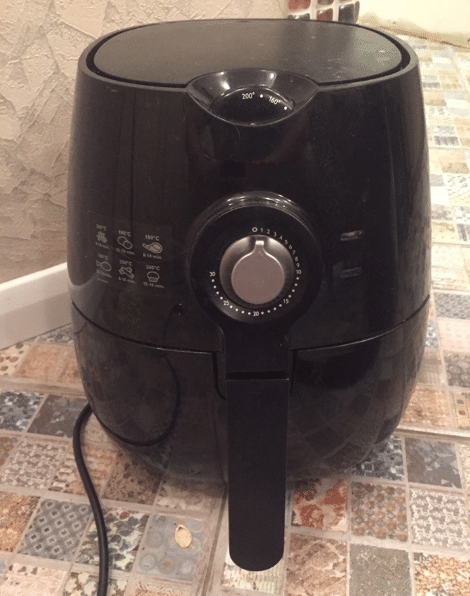 This Air Fryer by Cozyna is very safe and simple to use. You can also clean it without any worries since it is dishwasher-friendly and can be taken apart for thorough cleaning. The Air Fryer by Cozyna uses about 70% lesser oil than you would use on a daily basis. This ultimately means that there are lesser amounts of trans fats and calories. But at the same time, you have the satisfaction of eating the same quality of comfort food without feeling guilty about it. This NuWave Brio Digital Air Fryer is made up of a plastic body that is dishwasher- and very user-friendly. The digital LED controls and the fryer basket are the make components that help you cook food. The appliance is very easy to use and clean. Also, it is fitted with a lot of different safety features to prevent it from heating up excessively. It also has a removable food basket (or drawer). The appliance has a 6-quart capacity and can withstand a maximum temperature of 390°F. With such an enormous maximum limit, you can prepare an array of fried foods that are healthy. The appliance is very light-weighted and can be moved around your house without much effort. The interior has non-stick surfaces. The NuWave Brio Digital Air Fryer comes with an automatic shut-off feature that turns the appliance off automatically when it reaches the set temperature threshold or is idle. It also has a smart automatic pause feature and a pre-heat feature so that you can pre-heat your food before cooking them. The overall built of the NuWave Brio Digital Air Fryer is such that it ensures effortless cleaning and even heat distribution. The obvious difference between instant pot and air fryer is that you cannot use an Instant Pot for deep frying your food. If you wish to fry your food, the Air Cooker Fryer is the best option. As an alternative, you can sauté your food in an Instant Pot, which is the closest you can come to deep frying. The difference between an Instant Pot and an Air Fryer is the ability to ‘fry’ food. While the Air Fryer has this ability, frying is probably the only thing it can do. On the other hand, while an Instant Pot cannot fry food, it can easily make different items like soups, cheesecake, rice, yogurt, etc., something that is impossible in an Air Fryer. Most Air Fryers in the market have just one or two dials. You can set the temperature and the time, and the rest of the task is done for you. 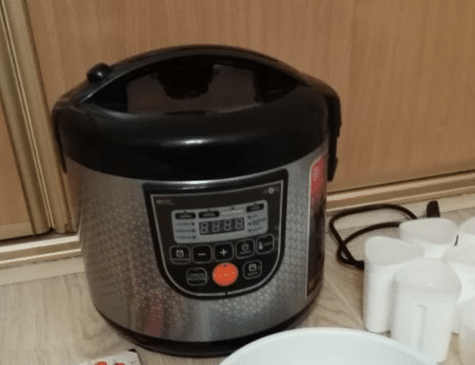 In the case of Instant Pots, you need to learn how to use the appliance first, although it will get easier once you get a hang of the appliance. On an average, the Air Fryer is smaller than an average Instant Pot. But, it all depends on the model of the appliance. For instance, the Instant Pot Duo Mini will occupy much lesser space than the Philips XL Air Fryer. Since Air Fryers are something new to the market, people have complained about a lot of different issues like plastic odors, smoking, melting, overheating, etc. Instant Pots have been around for some time now, so you will see a lot of different safety mechanism put into the play. If you had to decide between purchasing an Instant Pot of an Air Fryer, which one would you choose? If you are looking for the widest variety of dishes that you can cook, it is recommended that you go for an Instant Pot. Although you might not be able to deep fry in Instant Pot, the amount of other foods that you will be able to prepare is far greater than what you will be able to do with an Air Fryer. If you love fried foods and you eat them a lot, an Air Fryer would serve you quite well. Whichever you choose between the instant pot vs air fryer should be based on your exact need.